From the start, I always had respect for the 130-meter liner class and maybe my close observation of the SuperFerry 5 which I sailed with many times influenced me. Of course, I have respect for ships of all classes and that is why I don’t gush for a particular class or even type. I always had the tendency to gauge the suitability and to what route the ship is being used. For me, being the biggest or the fastest is not the ultimate consideration. Those things are maybe just for the young anyway. SuperFerry 5 by Ramiro Aranda Jr.
A handful of liners that came to our seas exceeded 150 meters in length and some were even over 185 meters in length, the biggest that plied the Philippine seas. Those liners all had gross tonnages of over 10,000 except for the sister ships St. Joseph The Worker and St. Peter The Apostle of Negros Navigation whose gross tonnages were grossly under-declared. The liners over 10,000 gross tons are what were called “great liners” by Frank Heine and Frank Lose in their book, “The Great Liners of the World” and our liners officially over 10,000 tons were listed in that book. Liners over 150 meters have engines whose horsepower total over 20,000 and for that it is capable of thrusting the ship to 20 knots or over but not much more. It’s design speed might have been slightly over 20 knots in Japan but here they generally just run at 20 knots (well, even a little less now). Very few ships sailed here at 21 knots and over and probably only two did regularly which were the Filipina Princess and the Princess of Paradise, both liners of of the famed and infamous Sulpicio Lines. it was still the height of passenger demand and that was the situation before the budget airlines and intermodal buses came in force. The 150-meter liners of old (not the current liners of 2GO) normally had passenger capacities averaging 2,500 persons (with the liners 165 meters and over averaging nearly 3,000 passengers if the putative liners of Carlos A. Gothong Lines are excluded). However, on a contrary note in passenger capacity, SuperFerry 5 and its sister ship SuperFerry 2 of Aboitiz Shipping had passenger capacities of nearly 2,400 persons average and even the comparable Princess of the Pacific of Sulpicio Lines had a passenger capacity of nearly 2,300. Yes, in maximization especially with four passenger decks the 130-meter liner can nearly match the 150-meter liners. However, they will not run at 20 knots but 17.5 to 18.5 knots is respectable and comparable to the fast cruiser liners that preceded them. In a Manila to Iloilo or a Manila to Cebu leg the difference in travel time is just two hours or less and it is only one hour if the liner can pass under the two Mactan bridges. And one or two hours is not much detectable by passengers especially if the liner departs late anyway. 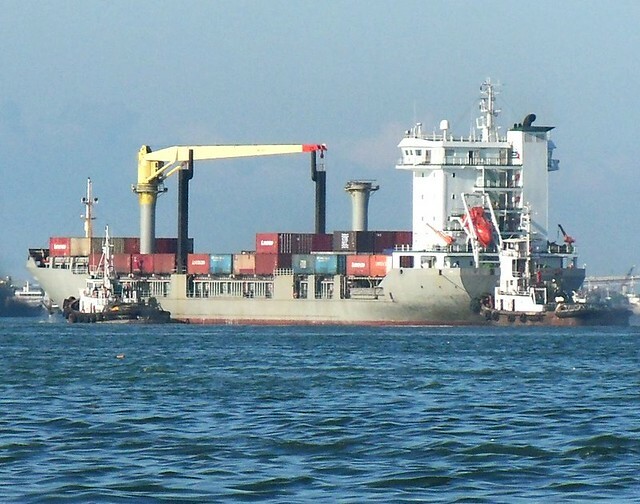 In combined Manila to Visayas and Manila to Northern Mindanao routes with an intermediate port, both the 150-meter, 20-knot ship and the 130-meter, 18-knot liner can do two complete voyages in a week so there is no difference in their utilization. What the faster liner only adds is only in the number of port hours not sailing or the inter-port hours.. Well, the crew appreciate more port hours if they have a family or a girlfriend there. But then they might not be able to go down the ship earlier because the area they have to clean first is bigger. But in fuel consumption the bigger and faster liner will consume significantly more fuel. Normally the 130-meter ship is equipped with engines of just 15,000 horsepower or a little more. Now, compare the thriftiness of those engines in fuel consumption compared to a liner with 20,000 or more horsepower. Of course, in cargo the bigger liner will carry more while the 130-meter liner will just carry some 100 TEUs in container vans. But then I observed that even then the ship’s cargo will only be full one way or even not (not much load back to Manila because the provinces do not produce much and grains, copra and sugar are no longer carried by the liners of today unlike before). And the rise of intermodal shipping using the combinations of trucks and basic, short-distance ferry-ROROs chopped up the liner cargo even more. Now the liners of 2GO normally sails with less than a full cargo load and it even has to delay departures for a few hours so more cargo can be loaded. In passengers the ships even two decades ago when demand was still at its peak only gets full at peak season anyway. In normal months the ship will then be carrying about 2/3 of its capacity. Now they are lucky to have half of their capacity full. Was the 150 meter liner a mistake? Well, if it was the matter of bragging rights then it might not be. No one wanted to be left behind in size and in speed. And besides Sulpicio Lines and William Lines had their own one-on-one-battle. But the era of 150 meter liners was just short with a window of only about a decade (while ship’s lives here is generally more than double of that). And when it was used on more minor routes I thought it was already a mistake because there is not enough cargo and passengers to sustain them there. And so as it grew older the 150-meter liners slowly became dinosaurs especially when liner passenger demand weakened. Of course now that was masked by withdrawals from routes (and lessening of frequencies) which means these liners are already too big for the average port of call. That was what happened decades ago when the small ex-”FS” ships and lengthened ex-“F” ships were no longer around. Many ports and towns lost their connection to Manila because the bigger liners that succeeded them were already too big for those ports plus the depths of the ship and the ports no longer matched. And that is why I wondered about the last liner purchases in the country. The ports got bigger than decades ago but there are less passengers now and so Aboitiz Transport System and 2GO just cut off the routes (and it was obvious they were not intent on going back to the more minor routes) because there is not enough cargo and passengers anymore for their 150-meter liners. That is why they left ports and cities like Surigao, Tagbilaran, Dapitan. Cotabato and many others. Well, on another note, they learned that they just needed 90- to 100-meter liners in their Palawan, Romblon and Capiz routes so they just dissolved Cebu Ferries and took its overnight ships and converted them. I think the 130-meter liner was best for us in most of the main routes. Like what SuperFerry 2, SuperFerry 5 and Princess of the Pacific have shown (and by Mabuhay 2 and Mabuhay 5, too, of William Lines, the latter SuperFerry 7 and SuperFerry 9, respectively) they can be modified to up four decks that will have a total of about 2,300 passengers average when demand was still strong. And when it weakened another cargo deck can be created. Or if it came when passenger demand was already falling the number of decks can be limited into three with the passenger capacity no longer in the 2,000 range. Well, later liners fielded in the 2000’s had the sense not to really pack it in. Now, if only bragging rights did not come into the picture maybe the liner choices might have been more sane. Adjusted for the weakening of liner shipping in this millennium, I think the biggest liners should just be in the 130 to 140-meter range with just 15,000 to 16000 horsepower and a cruising speed of 18 knots (well, the 150-meter, 22,000-horsepower liners of 2GO just average 19 knots now anyway). There is no more need for passenger capacities reaching 2,000 persons. If there is a mezzanine for cars it should just be retained instead of being converted into passenger accommodations as new cars or passenger vans destined for dealers south are important sources of revenue now for the liners. On more minor routes maybe we should even go back to the 100- to 110-meter liners of the past as augmentation for the 130- to 140-meter liners. Now that would be more sane. Many times a reader will read “Cotabato Port” when it comes to shipping and many of them will think of the great but now conflict-ridden city of Cotabato. They will not realize that the “Cotabato Port” referred to is actually the Polloc port in Parang town in Maguindanao province which is about kilometers from the city. 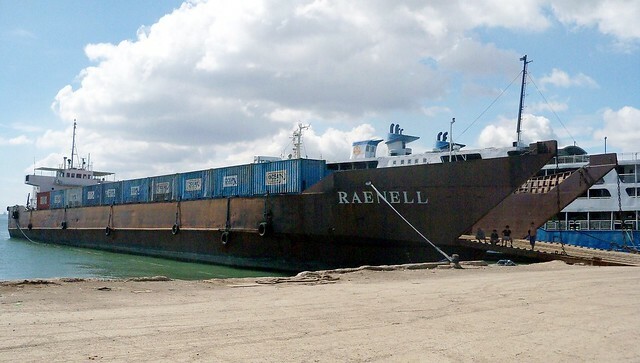 The true Cotabato Port is actually a river port near the mouth of Cotabato River hence it is shallow and can just accommodate small and shallow-draft vessels. So when ships became bigger, the government decided to develop a new port for Cotabato City but this was not located in the city but in the nearby town of Parang. Actually the port was between Cotabato City and Parang and its name is Polloc port and the national government promoted and supported it well. In the past, Polloc was a viable port when the roads in the region were still terrible. 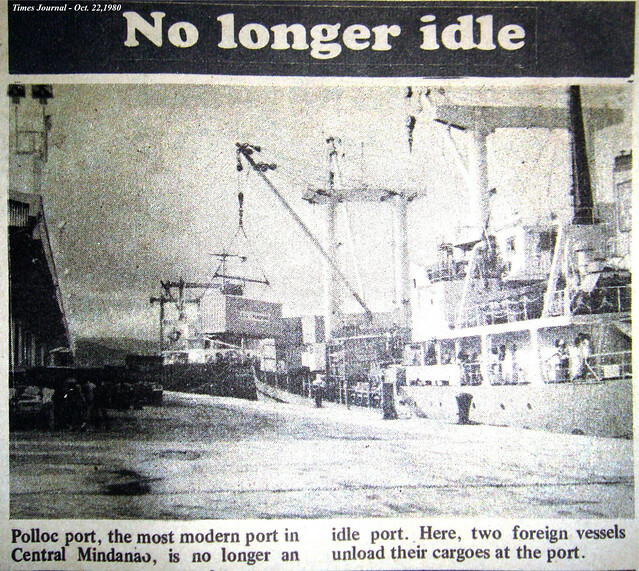 Sulpicio Lines and Aboitiz Shipping made good sailing there and they even had dedicated passenger-cargo ships and container ships to Polloc port. Sulpicio Lines used the Dona Marilyn (the former Dona Ana) which was a good fast cruiser liner then. They then fielded the RORO liner Cotabato Princess when it arrived and she served the route here well. Aboitiz Shipping tried this route with a newly-fielded ship here, the SuperFerry 3, smaller that her fleetmates but more fit for this route. When the merged shipping company WG&A was formed a slew of ships served the route including the former William Lines flagship Dona Virginia and a host of ROPAXes including the very well-regarded SuperFerry 1 and SuperFerry 8. 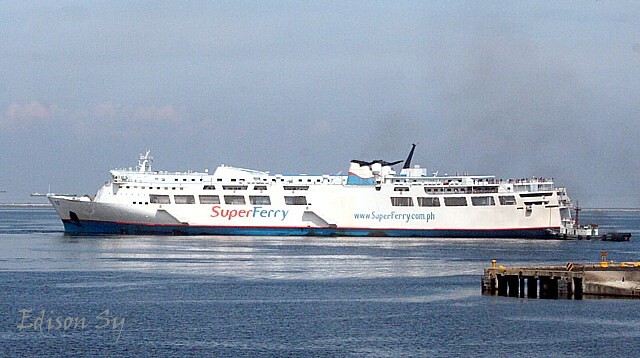 The respected sisters SuperFerry 2 and SuperFerry 5 also served Parang port along with the Maynilad. Doesn’t that line-up tells one that Parang port and the Cotabato route was once good then? Of course Parang will not be as strong a port like Dadiangas or what is later known as Gensan. South Cotabato was able to develop agribusiness (think Dole) and a hog industry and that was what supported the port. Cotabato and Parang had no such equivalent especially since the area became conflict-ridden at the approach of the 1970’s and in the aftermath the area sank into a certain degree of lawlessness which is a deterrent for trade, investment and tourism. When the conflict and lawlessness abated a little, Cotabato and Parang did not rise even though the government tried to pour in money and promoted Parang port especially when the SPDA (Southern Philippines Development Authority) was created. And the support continued under the banner of the ARMM (Autonomous Region of Muslim Mindanao) and it tried to attract Malaysian businessmen and other businesses and promoted Polloc as a free port and ecozone. Ironically, what doomed Polloc was actually the opening of two new highways, the Narciso Ramos Highway which connected to Malabang, Pagadian and a route to Marawi and Iligan or Ozamis and the paving of the old Sayre Highway which connected the area to Cagayan de Oro via Bukidnon. 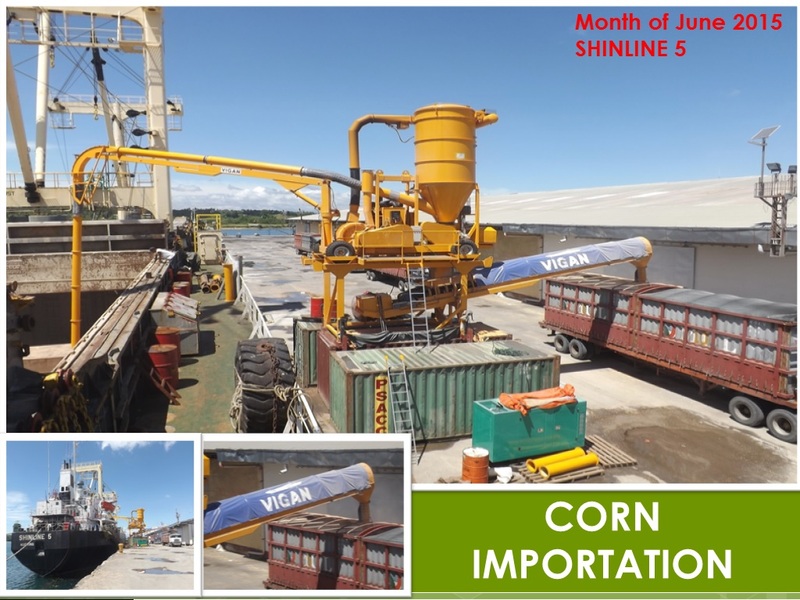 Where before a shipper will have to wait for the weekly ship, now he can truck his goods to Cagayan de Oro, Iligan or Ozamis and the combination of the three means the availability of daily ships plus a shorter sailing time with a lower shipping cost. And for passengers there are many direct commuter vans now from Cotabato to Iligan and Cagayan de Oro. They can just take the ship there and travel time and costs will be less. Conversely, when they arrive in those ports there will commuter vans waiting for them. Now there is no more liner to Parang and cargo ships and container ships are few although the regional government tries to promote it mightily. However, it does not rise because there are simply better alternatives in shipping out cargo or bringing it in. Long-distance cargo trucks from even Cebu already penetrate the area and the main point of departure is Cagayan de Oro. Davao or General Santos City can also be the entry point especially if the goods are from abroad and there is no problem in trucking in the goods to the Cotabato area (talking of the city and not the old province). The experience is actually what some say that the left hand does not know what the right hand is doing. It is okay and good to open the Narciso Ramos Highway and the Sayre Highway to connect Central Mindanao to Western and Northern Mindanao but then the unintended consequence is the sinking of Cotabato and Parang port. I just hope the oil facility invested in by the Malaysians in Parang will somewhat make up for the fall. Hopefully they will allow goods from Singapore to be brought in tariff free under the ASEAN Free Trade Zone (which in Philippine bureaucratic definition means a lot of restrictions since they never care to read the dictionary and there are vested interests hiding behind those restrictions and bureaucrats and politicians protecting them). But then the local Nestle operation will balk because Nestle products from Singapore actually lands cheaper in Zamboanga (and that is even with grease money). Wither Parang? No, actually I don’t have a good idea. It will be another locality whose fate is dependent on decision makers in Manila even though they don’t know much of local or regional realities.